Motherwell travel to Livingston on Saturday as the knockout stage of the Betfred Cup gets underway. With memories of last season's trips to Hampden fresh in mind we know the rewards that come from an extended cup run. It has been five years since the teams met in any competition and a repeat of the League Cup result in 2013 would see us through to the quarter finals. Goals from Bob McHugh and James McFadden sent us on the way to a 2-1 win at Almondvale. With two league losses behind us the need for a morale boost is clear but in order to succeed we will have to find a way to score. With three hours of goalless action in the last outings the manager may elect to alter his striking duo. Danny Johnson has impressed with his appearances from the bench and it may be that he is paired with either Curtis Main or Conor Sammon. Ryan Bowman remains on the injured list. Tom Aldred has had a week to settle into the Fir Park routine and, together with his fellow defenders, he will be keen to earn a first clean sheet. Bigirimana was given a rare start last week and seemed to do enough to keep his place in the centre of the pitch. Our newly promoted opponents earned a point with a no-score draw against Kilmarnock last week. Under the charge of their new player-manager Kenny Miller it's a much changed squad at the Tony Macaroni Arena. 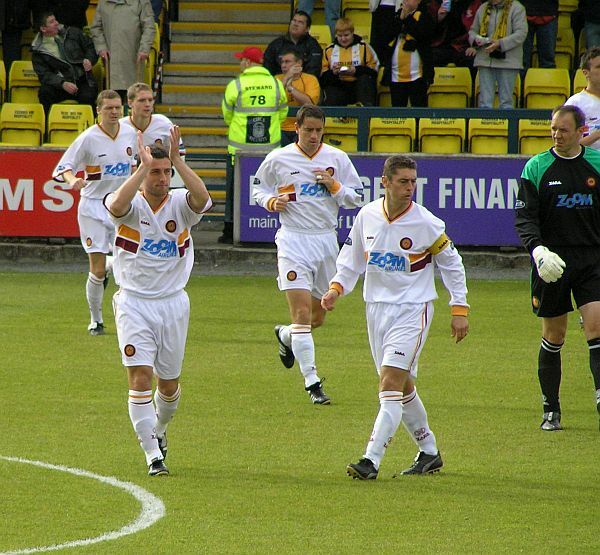 Additions included ex-Motherwell players Steven Lawless and Steven Saunders. Further interest will be provided as Nicky Cadden is keen to face his claret and amber wearing twin. The bookies odds were upset when we lost to Hamilton. Let’s not slip up on Saturday and make progress with a 2-1 win.